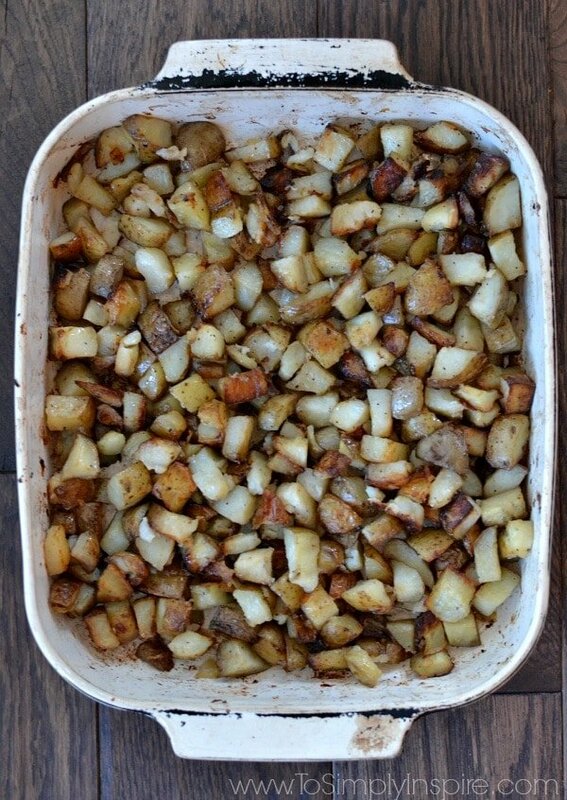 These Roasted Potatoes are crispy on the outside and soft on the inside perfection. 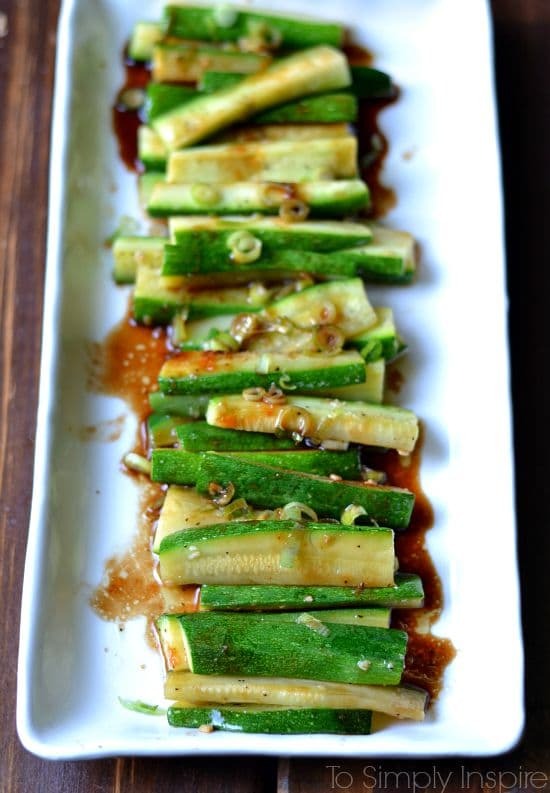 An easy recipe for a simple side dish that is guaranteed to be the hit of any meal. 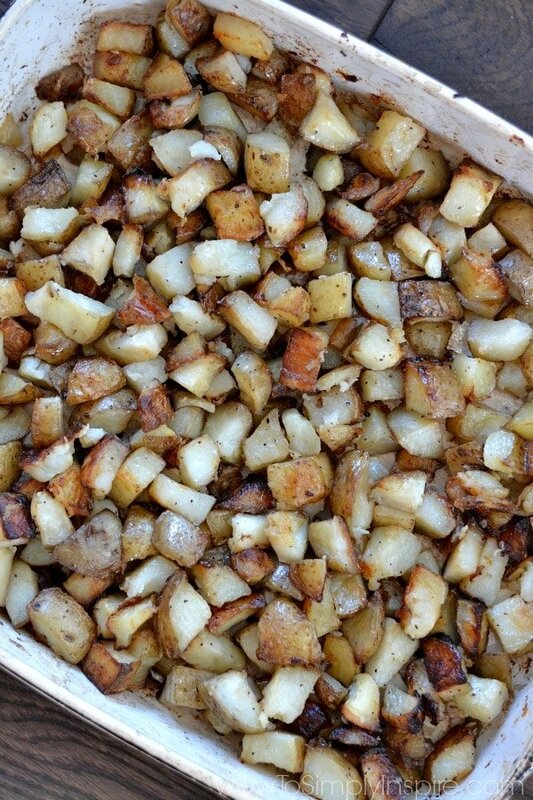 These Roasted Potatoes are fabulous and ridiculously easy! They are a weekly staple in our house because they are just.that.good. 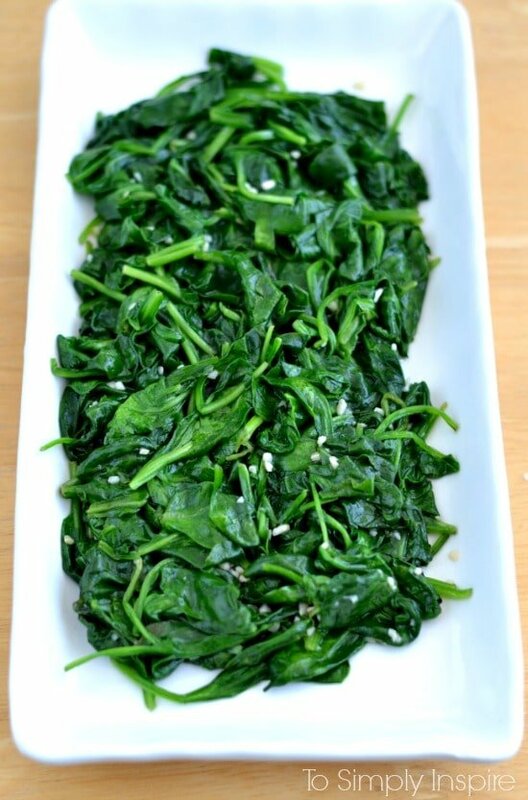 They are the perfect side dish with any chicken or pork dish you make! I remember the first time I had them when we moved to our neighborhood back in 2005. One of my neighbors (now one of my besties) brought them to a Labor Day party. As much as I love my Southern Potato Salad, sometimes a change is nice. It was one of those moments where you say to yourself “Why haven’t I ever made these”. They are cooked much longer than you would think they need to be to get them extra crispy on the outside and soft on the inside. Bake for 45 minutes, then toss to mix. Bake for another 20 minutes. Toss and mix again. Bake for another 20 minutes. Repeat if necessary. You want them to get a nice, crispy brown on the outside. Roasted Potatoes are such a treat! 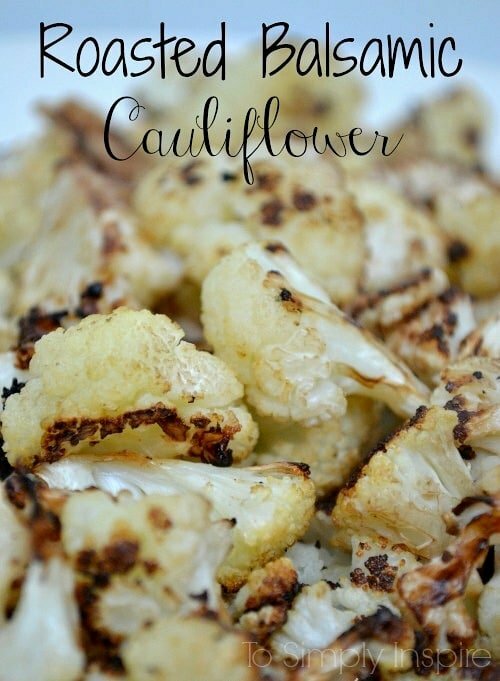 Love that you can make these with coconut oil! Thank you so much for sharing them with us at the Hearth and Soul Hop. I make potatoes like this and they are so yummy! Thanks for sharing with SYC. We love potatoes at our house so this recipe is totally up our street! Yum 🙂 Thanks for sharing! 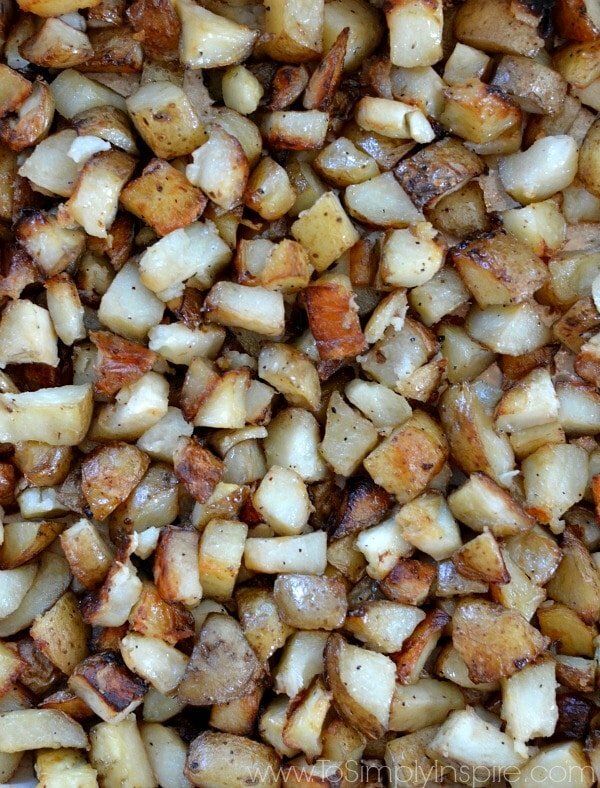 There is something special about roasted potatoes, these look so good! Hope you have a very special Valentine Day and thanks so much for sharing with Full Plate Thursday. 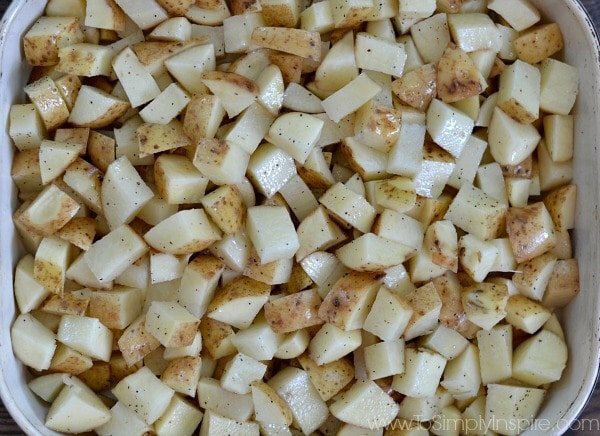 I don’t make roasted potatoes much but im tempted to now because of how easy you make it look! 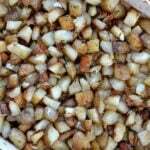 Plus it seems like it’s the perfect side dish for winter. This will also give me good reason to use my coconut oil I have sitting around.